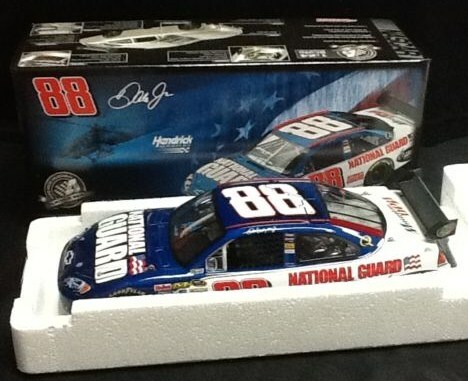 The beautiful, 08 blue and white Amp National Guard car. Great detail, including plug wires, graphics, seat belts, and much more. By Action, the leader in diecast race cars.